After World War II, U.S. imperialism was top dog. The massive military spending of the United States during World War II pulled it out of the Great Depression of the 1930s, while the other capitalist countries and the Soviet Union were devastated by the war. The United States was the largest industrial economy in the world. The United States established a new international monetary system at Breton Woods in 1945, which made the U.S. dollar as good as gold in other countries. Following World War II, the defense spending of the Cold War period along with a continuing infrastructural advantage combined to stimulate the U.S. economy and keep it in a preeminent position for a long time. At the same time the struggles of the U.S. working class during the Great Depression led to relatively high wages for U.S. workers, and programs such as Social Security, unemployment insurance, deposit insurance for bank accounts, and federally regulated mortgage loans, led to more stability and security, which encouraged consumer spending. But at the very moment the rich were crowing about the “American Century,” it was ending. 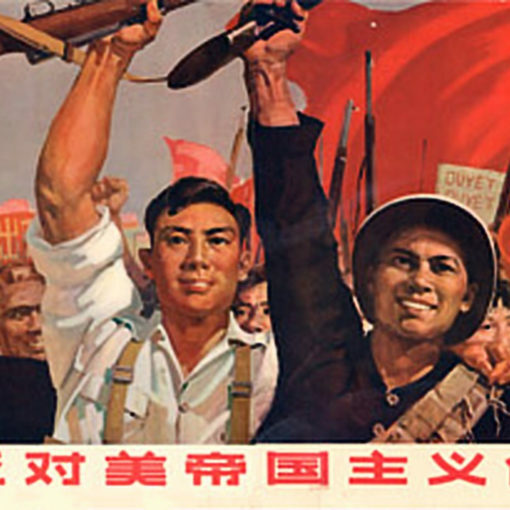 Competition from Europe and Japan and the growth of the socialist camp, along with blows from national liberation movements, came together with the struggle of oppressed nationalities and workers within the United States to end U.S. global economic hegemony. The cost of the war in Vietnam forced the United States to devalue the U.S. dollar. This devaluation along with the oil crisis and subsequent worldwide crises of over-production ushered in a decade of inflation and recessions in the 1970s. In response to this decline, monopoly capitalism shifted to a policy of neo-liberalism in the late 1970s. Neo-liberalism (which was often referred to as “Reaganomics” but actually began under the Carter presidency) marked a turn to the right by the ruling monopoly capitalist class. Starting with the deregulation of industry and military build-up under Carter, this policy intensified under Reagan with an assault on labor unions, most visibly with the breaking of the air traffic controllers’ strike in 1981. Cuts in social programs were combined with tax-cuts for the rich. The export of capital accompanied by the loss of U.S. jobs accelerated under the policy of “free trade.” Corporate profits boomed, and fed into a huge expansion of the financial sector and speculation in stocks, bonds, and currencies. A fundamental characteristic of capitalism is the economic inequality as seen in the gap between the capitalists and the working class. Neo-liberalism has weakened, and in some cases entirely done away with, many of the reforms of the 1930s that held this tendency in check. Increasingly the social characteristic of the United States is polarizing into two distinct economic poles – wealth and poverty. While the official poverty rate has fallen over the last thirty years, this is mainly due to the government’s unreal definition of poverty: in 2005 a family of three had to earn less than $16,000 a year or $1,300 a month to be officially poor. (4) A more realistic poverty line would be at least 50% higher, and show the reality that the numbers of poor are increasing. Clinton's welfare reform in 1996 is making life even harder on the poor as millions have been forced off aid and into low-paying, unstable jobs. The number of severely poor (households with half or less of the official poverty line) has been going up. The growing inequality can also be seen in the economic gap between whites and oppressed nationalities. While the Civil Rights movement led to large gains in education and political representation for African Americans, much of the economic gains have been offset by growing inequality. Thus the unemployment gap is little changed over the last thirty years, with Black unemployment 3.4 times as high as whites in 1970, as compared to 3 times as high in 2002. The wealth gap is greater than the income gap, as African American households earn about 62% of white households, while Black wealth (in the broadest form, including homes and cars) is only 8% of whites. Inequality also contributes to the exploitation of the African American Nation in the Black Belt South. Not only have Black farmers lost almost all of the land they once farmed over the last fifty years, but today much of this land is being turn into huge hunting preserves by corporate owners. Lower taxes on land lead to under-funded schools, locking Black people in a cycle of poor education and poverty. Not satisfied with the reserve army of unemployed African Americans who are called to work during economic booms but first fired during recessions, the monopoly capitalists have turned to recruiting immigrants from all over the world, and especially from Mexico and Central America to do low-paid work with poor working conditions, such as meat packing, restaurant, janitorial, and domestic work. The U.S. economy faces growing competition from the two other capitalist blocks, one in East Asia headed by Japan, and the other in Europe in the European Union (E.U.). In addition there are growing challenges to U.S. economic hegemony from developing countries in Latin America, and also from Russia and China. The European Union continues to grow through the incorporation of central and eastern European countries. In addition, the Euro (European money) continues to gain strength against the U.S. dollar. At the same time contradictions are also growing within the E.U. because of Britain’s close alliance with the United States. Tensions are also increasing with Russia, which is fighting back against E.U. and U.S. designs on eastern European nations that used to be a part of the Soviet Union. Capitalism in Asia continues to grow, although formal economic and political integration as in Europe are lacking. Japan’s leadership of the Asian economic bloc has been weakened by their long period of economic stagnation since 1991, which has led to more neo-liberal policies in Japan. The rising economic strength of China, and Japan's close alliance with the United States, are also growing obstacles to Japan's economic leadership in Asia. The intensification of neo-liberal policies in Latin America has brought popular resistance to these policies to the forefront in Venezuela, Bolivia, and Ecuador. In addition, social-democratic governments in Brazil, Argentina, Nicaragua, and other countries have had to distance themselves from some U.S. political policies such as trying to isolate socialist Cuba, even as they continue to open their countries to U.S. corporations. The U.S.-backed “Free Trade Area of the Americas” or FTAA has been bogged down by this resistance and the U.S. has had to resort to signing trade agreements with individual countries. The World Trade Organization or WTO continues the work of the General Agreement on Tariffs and Trade (GATT), which was set up after World War II to open the world to U.S. corporations under the policy of “free trade.” Today the WTO has seen growing resistance by the world’s peoples and the developing nations led by China, India, and Brazil against the policies of the imperialist blocs headed by the U.S., E.U., and Japan. The WTO has made almost no progress since 1999, when popular protests shut down the Seattle conference, to the latest conference in Cancun, Mexico, which broke down when the United States refused to negotiate with the developing countries over reducing agricultural subsidies. Capitalist economies have a cyclical boom/bust character. The history of American capitalism is no exception with a history of regular downturns (recessions or depressions) alternating with economic expansions. With the exception of the Vietnam War years, and then the high-tech boom of the 1990s, the economy has a recession every 4 to 6 years. The last expansion from 1991 to 2001 was the longest in U.S. history, but was also followed by a recession in early 2001. Recessions reflect a crisis of overproduction, where the capitalists cannot sell their products at a profit. In the post-World War II era, the two sectors most prone to overproduction have been housing and capital goods (machinery, equipment, and buildings used by businesses). It is important to recognize that this overproduction is only relative to the capitalists’ ability to make a profit, not their ability to meet people’s needs. Thus there can be an “oversupply” of homes at the same time as there are growing numbers of homeless. Capitalist economies also face financial crises that are less regular. The last great financial crisis in the United States was in the 1930s, when thousands of banks were forced to close disrupting the flow of capital to businesses. However in the last 12 years there have been financial crisis in Mexico (1995), Southeast Asia (1997), Russia and Latin America (1998), just to mention a few. These crises are characterized by upheavals in stock markets, currency exchange, and banking, often following a period of financial speculation. 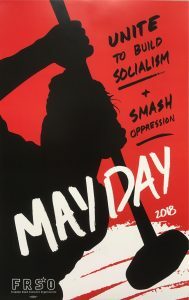 These crises are part and parcel of monopoly capitalism where the merger of banking and industrial capital, and the super-profits made by monopolies and the exploitation of other countries, fuel an ever-growing financial sector. These two types of crisis are interrelated. (5) The cyclical boom leads to greater profits, which can lead to financial speculation and crisis. At the same time, financial crises disrupt the flow of capital and contribute to larger-than-average crises of overproduction. Both the cyclical crises of overproduction and the occasional financial crises can spread across borders, as seen in the last world economic crises in 1997-1998 that started in Thailand, spread to other southeast and east Asian countries, and then to Russia and Latin America. To try to contain these crises of capitalism and prevent them from threatening the capitalist system, the capitalists employ a number of reforms to stabilize the capitalist system. These include borrowing and spending by the government (fiscal policy) and lowering interest rates (monetary policy) to try to increase spending in order to avoid crises of overproduction. The government can also tax imports (tariffs) and/or set limits on imports (quotas) to try to boost spending on domestic production. Capitalist governments also try to contain financial crisis through measures such as bank deposit insurance and regulation of banking and finance companies. However these measures cannot prevent crises from occurring. Recessions have continued after the Great Depression when many of these reforms were implemented. Further, these reforms can lead to other crises, such as when the Federal Reserve lowered U.S. interest rates to fend off the 1997-1998 economic crises that began in Asia, only to set off frenzied speculation in the stock market, especially high-tech stocks that contributed to a stock market bust and a recession in 2001. Last, but not least, these reforms tend to limit the corporate profits, leading capitalists to try to eliminate them, which is what neo-liberalism is really about. The U.S. economy is in a boom phase following the end of the last recession which began in 2001. Nevertheless, the long-term trends of continued decline relative to other capitalist powers, economic inequality and insecurity, and increasing international economic tensions continue. At the same time, some signs of overproduction have developed, and financial speculation continues to grow. The economic decline of the United States can be seen today in its dependence on foreign capital. The U.S. economy must have a continued inflow of foreign capital because of the huge U.S. trade deficit (importing more than exporting), which grew to some 800 billion U.S. dollars in 2006. Japanese and European corporations continue to make inroads in the U.S. economy, as seen in the auto industry, and even developing countries such as Mexico and China are buying up some U.S. businesses. This is contributing to the falling value of the U.S. dollar, especially against the European Euro and the Chinese Renminbao. Almost all of the economic benefits generated by the current boom have gone to the capitalists, and almost none to labor. Major U.S. corporations have seen three years of 10-20% growth in profits each year, while the real income (adjusted for inflation) of U.S. workers has been virtually flat. More workers are without health insurance or pensions as businesses cut benefits despite their growing profits. The greed of the capitalists shows no bounds, with severance pay of $200 million for top CEOs becoming a trend. Some signs of overproduction are beginning to emerge in the housing and auto sectors, with the percentage of homes lying vacant and for sale at a record level and growing inventories of unsold cars. In the last two years, households have had to borrow at levels not seen since the Great Depression of the 1930s to buy all the goods produced, which is unsustainable in the long run. Financial speculation has grown in new ways: exotic mortgages with no down payment, interest only, and even ability to skip payments has fed a boom in housing, but is showing signs of stress as more and more borrowers are unable to pay. This has led to the failure of many mortgage companies and billion-dollar losses at banks, leading to more restrictions on mortgages. This will reduce the sales of homes, making the crisis of overproduction worse, and leading to even more financial problems. Banks are making huge (literally trillions of dollars) bets, financially known as “derivatives.” Speculation in currencies and commodities such as oil, have boomed. All of this speculation is dependent on continued profits and inflows of foreign capital, creating a growing chance of the financial equivalent of a train wreck more possible. In the FRSO Main Political Report in 2004, we stated that the economy was likely to be in a period of relative stability. Today we can say that this period is likely to end in the next three years. While a recession is probable during this time, it could come sooner or later. At the same time, while a financial crisis, probably involving a sharp drop in the value of the U.S. dollar and a spike in interest rates leading to a severe crisis of overproduction (recession), is more likely than in the past, it is not a certainty in the next few years. What is clear today is that a growing number of U.S. workers are feeling the effects of the economic inequality and insecurity and resistance to capitalist policies are growing. This can be seen in the widespread opposition to President Bush’s plans to privatize Social Security and growing opposition to his free trade policies. There is also widespread anger at the rampant corruption in government and unbridled corporate greed. There is also widespread support to raise the minimum wage and growing support for universal health insurance. These sentiments have been tapped by many Democrats. While Democratic politicians in Congress have promoted issues helpful to the working class such as raising the minimum wage, they are also more likely to engage in trying to scapegoat China for problems of the working class, diverting attention away from U.S. corporations. Liberal Democrats see the problems as neo-liberalism, whereas the fundamental issue is capitalism and the search for ever-greater profits. (2) Note that the official government figures on homelessness only try to count those in shelters and on the street, and are widely recognized as undercounts. Further they don’t count people living in cars, etc. (5) Marx wrote about the circuit of capital being a cyclical process where money capital (M) is used to buy commodities (C) such as raw materials, labor power, tools and machinery to produce (P) commodities of greater value (C') which is sold for a profit (revenue M' greater than the original investment M) or in other words M – C = P … C' – M' Crises of overproduction occur when the production C' cannot be sold at a profit. This in turn is often caused by disruptions in the supply of capital for the purchase of commodities (M -C). See Marx, Capital, Volume 11, part 1, Chapter 1: The Circuit of Money Capital.